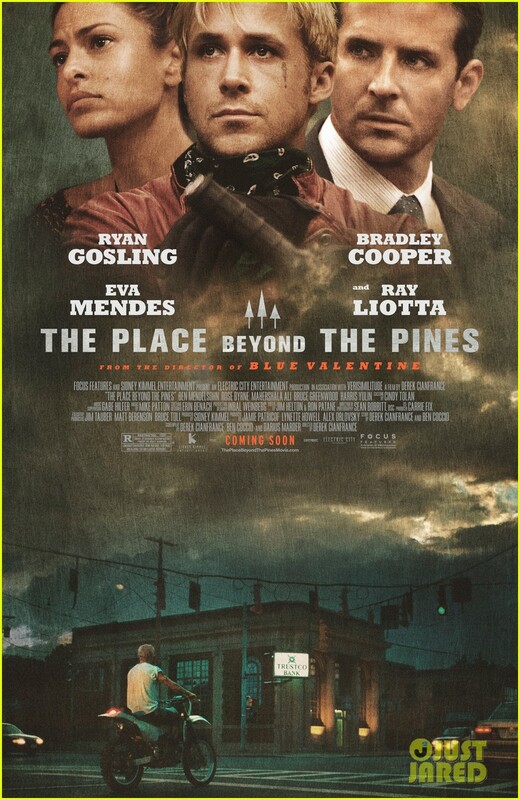 The unrelenting bleakness and dour nature of The Place Beyond the Pines pitches a question about the difference between empathy and sympathy for troubled characters. Each of the film's conflicted male characters makes poor decisions but only because they are trapped in impossible situations, where action seems necessary. Two out of three of the film's chronological but interlocking chapters uphold this spine of moral ambiguity, only for a clumsy third story to forgo strong repercussions so that this grim crime saga can resolve itself tidily and with undeserved sentimentality. Two overlapping stories, instead of three linear ones, would have been leaner and more insightful. Ryan Gosling plays Luke, who travels with a fair performing motorbike stunts. When he finds out that he has a child to Romina (Eva Mendes), who is already with someone else now, he quits his job to try to provide for his son. He seeks work from Robin (Ben Mendelsohn), who assists him with robbing banks so that he can make enough money to support his son. In chapter two Bradley Cooper is Avery, a cop married to Jennifer (Rose Byrne) with a son. Avery is wounded shooting someone dead and is falsely declared a hero. To redeem himself, he opts to blackmail a group of crooked cops (one played by Ray Liotta) and move towards politics. 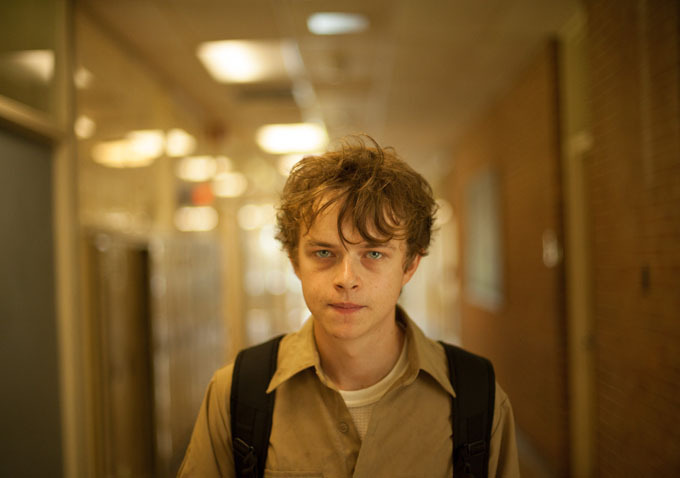 The third story sees Luke and Avery's two boys Jason (Dane DeHaan) and AJ (Emory Cohen) growing up together in high school and becoming involved with both theft and drugs. Pines is essentially a Western but with motorcycles instead of horses. Films about the Old West were devoted to the intertwining nature of economics, status and violence. In the days of the Frontier, these were pillars of American history, as people embraced Modernity and Manifest Destiny: controlling their destinies under God and often resorting to violence to achieve and justify the expansion of land and property. One of the finest Westerns to deconstruct the myth of righteous violence was John Ford's The Man Who Shot Liberty Valance (1962). James Stewart played a lawyer, falsely touted as a hero because people believed he shot a bandit dead, and this lie helped bolster his political career. Pine's second chapter offers uncanny symmetry, reflecting how an inescapable lie and violence leads a man into political falsehood. Like many other Westerns, the film's machismo is totalled through the way violence is used by men to protect or avenge their family bloodlines. The director was Derek Cianfrance, who previously made Blue Valentine with Ryan Gosling, a startlingly intimate film about a corroding marriage. Pines is more of a genre film, posturing as a character study. There are lumps in the script, where characterisation remains extremely thin, existing through action and surface than psychology. Both Gosling and Cooper lack personality in their performances, being left to brood humourlessly, like they have been told to rein in their charisma levels. The film is light on back-story, which makes the initial switch in perspective from Luke to Avery a misstep. At first, it is extremely difficult to sympathise with Cooper's character because he is anonymous to us. His motives gain transparency when we see that he needs a stronger job, his father is a judge who offers him advice, and that his colleagues force him into a point of no return. Yet the moral ambiguity of the characters is tested under the weight of the script's excessive nihilism. The film believably expresses economic pressure through the love and responsibility that men feel for their families. However, the extremity of their actions makes their redemption seem unlikely or outright impossible. One example is after Luke assaults Eva's partner he is freed from gaol on bail, but then decides to commit another robbery. Likewise, Avery decisions are treated as if they are free from choice. Unlike James Stewart's character, he chooses to thrive off a lie and the consequences are perfunctory in the end. By the third story, in a movie that is two hours and twenty minutes long, I had grown weary of the films heavy-handedness. The shootings, the beatings, drug taking, theft, and multiple robberies, began to seem artificial, employed solely to inflate the grittiness and self-importance. The credibility of the plotting is also stretched by how contrived the third chapter is, relying on the enormity of the coincidence that both Jason and AJ would come to know each on a personal level. The grimness of this chapter unfolds with little relief, again reflecting a movie where your engagement will depend on whether you believe the characters are tragically circumstantial or if their pain is self-inflicted.